I'm not sure if this waterfall has an official name. I came across one reference online to "Spillway Falls" -- which would make sense since it exists only when the water in Steele Creek Park Lake is high enough to flow over the spillway next to the dam. 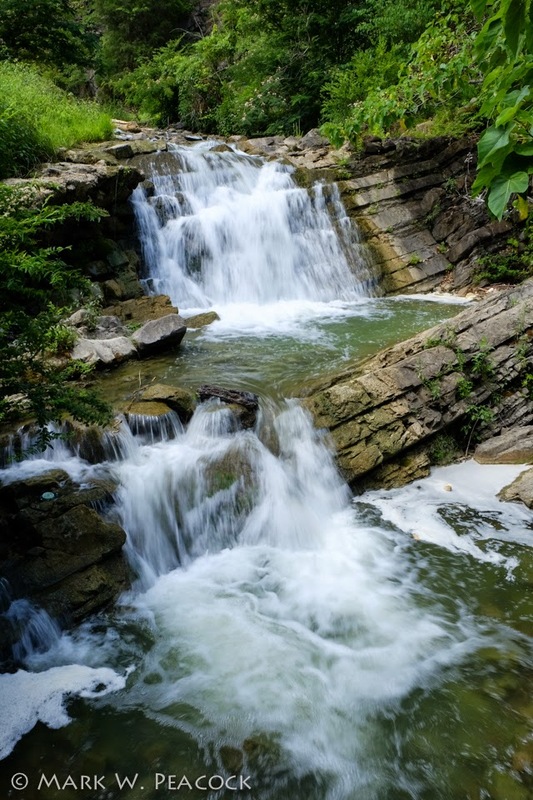 The easiest way to get to the dam and these falls is to enter the enormous, 2,000 acre Steele Creek Park through Rooster Front Park, a small park with playground and tennis facilities, and a trail head that connects with the extensive network of trails within Steele Creek Park. It's a short 0.3 mile walk to the falls above. Directions. Rooster Front Park is located off of Vance Drive which makes a loop with highway 19/11E. Coming from the intersection of Route 394 and Highway 19/11E west of the Bristol Motor Speedway, take 19/11E for 4.4 miles, turn left onto Vance Dr. and drive 0.6 miles to the park on your left. If you're coming in from the north: From State Street, drive 1.3 miles south on 19/11E and turn right onto Vance Dr., continue on Vance for 2.4 miles, the park will be on your right. For directions to the main entrance of Steele Creek Park, click here. 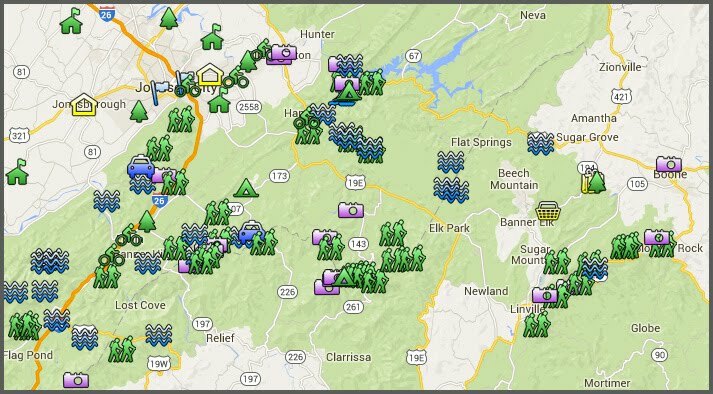 For trail maps, click here.